While wildfires in the West are burning through the forests at a rapid pace, the U.S. Government is likewise burning through the money in a hurry trying to fight them. This week Agriculture Secretary Tom Vilsack announced that the federal government will likely run through its entire annual budget for fighting wildfires by the end of August – a whole two months before the end of the fiscal year and the official wildfire season. While it has been a massive and destructive wildfire season in the American West, spending all the money set aside for fighting fires isn’t anything new. According to Grist, this is the seventh time in the last 12 years that this has happened – without any corresponding increases in the budget. A recent study says climate change is causing wildfires to get bigger and more frequent – an additional 90,000 acres have burned each year from 1984 to 2001. But according to Vox, poor forest management (including suppressing small fires to protect nearby homes and letting brush build up) have left forests primed for major blazes. Greg Hanscom of Grist also notes that over a century of logging has turned forests that were naturally designed to resist large fires into stands of small, tightly packed trees that will ignite and burn easily, given the right conditions. While throwing money into forest fire fighting is one way to approach things, President Obama and some members of commerce are proposing Americans deal with fires before they start by prioritizing prevention. According to NPR, the new fire formula proposed by the government would bring blazes in line with other natural disasters by creating an emergency fund like the one currently used by FEMA for hurricanes and earthquakes. 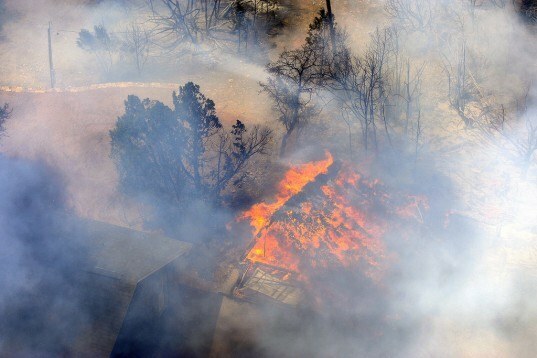 A structure burns during a past Texas wildfire. 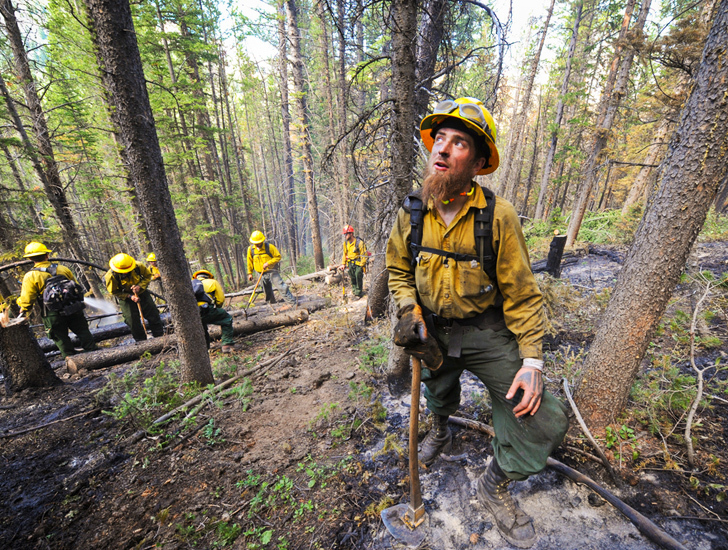 Fire fighters dig in during an Oregon wildfire.